St. George is one of the Pribilof Islands in Alaska’s Bering Sea. The islands are sometimes referred to as the “Galapagos of the North” because they are home to some of the world’s most magnificent biodiversity and natural beauty. Northern fur seals (about half the world’s population), Steller Sea Lions, otters, cetaceans and over 200 species of sea birds have long sustained St. George’s Unangan community and been a source of wonder to visitors. The waters surrounding St. George Island are also home to significant fish populations that provide prey for marine mammals, catch for fishermen and a crucial food source for the St. George community. 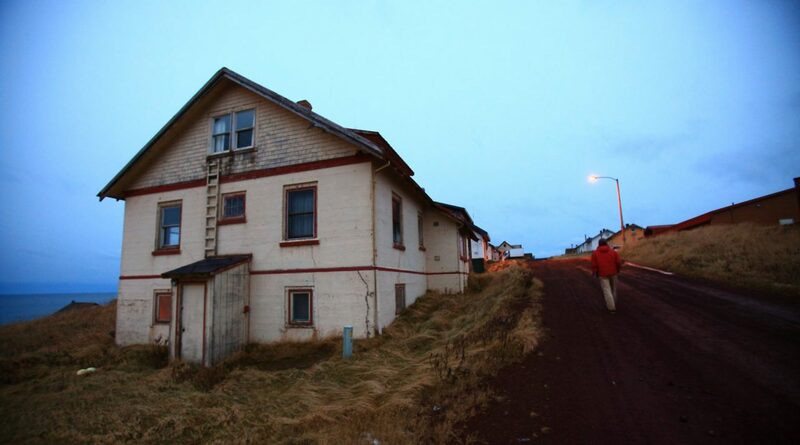 This habitat, and the fate of the community of St. George, is now under threat. The waters around St. George and the Bering Sea face multiple stresses and additional threats are on the horizon as climate change progresses, sea ice recedes and international commerce grows in the Arctic region. Marine mammal and bird populations have been in steady decline. Conservation is urgently needed to protect St. George’s precious marine life, to build resilience against the consequences of climate change and to save the economy and cultural heritage of the St. George Unangan community. To address this urgent need, St. George submitted a nomination to create a National Marine Sanctuary for the waters surrounding the island. The National Oceanic and Atmospheric Administration (NOAA) has determined that St. George’s nomination meets the National Marine Sanctuary Act’s national criteria and management considerations, making it eligible for designation as a National Marine Sanctuary. If successful, the St. George Unangan Heritage National Marine Sanctuary would be the first National Marine Sanctuary in Alaska and only the 14th in the country. Support St. George: Please express your support for the community of St. George by sending a message of support to NOAA’s Office of National Marine Sanctuaries at william.douros@noaa.gov. On behalf of the community of St. George, thank you! * Most of the great photographs used on this web site were taken by Joe Connolly. The beautiful photograph of the red-legged kittiwake colony was taken by the photographic team Yva Momatiuk and John Eastcott for the U.S. Fish & Wildlife Service. St. George is very grateful to have received support for this effort from the Gordon and Betty Moore Foundation and its fiscal sponsor, Community Initiatives.